The strong growth of previous years has meant that Franz Mensch, with its headquarters in Eresing, has reached its limits in terms of space. In order to be able to meet the increasing demand of customers in the future, the management decided to expand geographically. The available construction area in Buchloe seemed ideal to be well prepared for the future. This leaves room for further growth and has a very good infrastructure connection due to its direct location on the A96. 11.09.2017: Relocation of the offices. All Franz Mensch employees have now arrived in Buchloe! Franz Mensch attaches great importance to sustainability and environmental protection. Therefore, it was clear that the new headquarters should be built sustainably. The 1,500 m² photovoltaic system on the roof of the logistics hall also covers almost the entire power requirement of the company. The remaining electricity is drawn from 100% natural power from Stadtwerke Fürstenfeldbruck (Certificate natural power). From the earthworks to the completion of the impressively beautiful interiors: in the video, Managing Director Achim Theiler shows exciting details about the new building and the strong new high-bay warehouse (in German). 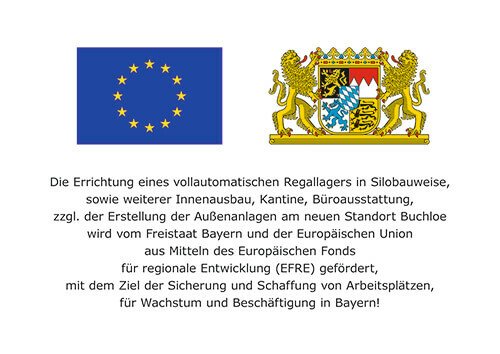 We also thank the municipality of Buchloe, which has fully supported our project at all times!